Our collaboration with the Institute for Linguistics – Phonetics at University of Cologne dates back to the years before the establishment of our research group. Some of our group members worked together with IfL Phonetik researchers in a collaboration aiming at the articulatory analysis of singing. We are now working on the extension of this cooperation. Within IU-SPHS it was Dr. Steven M. Lulich who started 3D ultrasound based articulatory research. During an earlier cooperation we investigated the visibility of the tongue surface and compared automatic tongue contour tracking options on ultrasound images, through support of the Fulbright program. 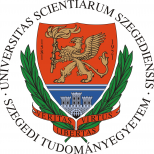 We started collaboration with the MTA-SZTE Research Group on Artificial Intelligence and with the SzTE Institute of Informatics after starting the Lendület group, in the field of ultrasound-based speech synthesis. We are conducting this research between 2017-2021 through an NKFIH FK-17 grant.